Holland America Line (HAL) is inviting fans from around the world to join in viewing the dedication ceremony of Nieuw Statendam by live streaming the event Feb. 2 at 2 p.m. EST. Those wanting to see the ship’s godmother, Oprah Winfrey, welcome Holland America’s newest addition to the fleet can watch at https://www.hollandamerica.com/en_US/cruise-ships/ms-nieuw-statendam/nieuw-statendam-dedication.html?ICID=VURL_Dedication. 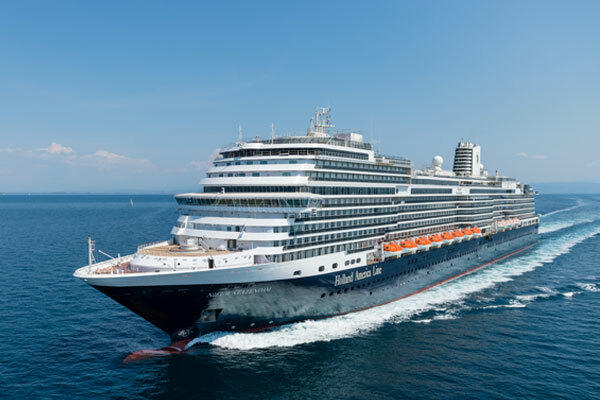 The ceremony is being held aboard Statendam from the World Stage theatre at Port Everglades in Fort Lauderdale where Winfrey will officially dedicate the ship in a time-honoured maritime tradition believed to bring good luck and protection to a new vessel and all who sail on board. Other speakers include Carnival Corporation CEO Arnold Donald and HAL president Orlando Ashford.